A very common mistake beginners make is that they don’t keep a detailed track of their progress. Usually, they don’t know that they should or if they know, they think it’s not worth their time or effort. However, tracking your progress doesn’t require neither lots of time nor lots of effort. You can easily do it by keeping a workout journal. Wanna Build A Strong Foundation? Then download The Beginner’s Bodyweight Training Plan and start right away! When Should Your Write On Your Workout Journal? Where Should You Track Your Workouts? Can’t you just train intuitively? You can train intuitively if you want to, but there are some caveats. Like, for example, you won’t accurately know if your moving closer to your goals and if you are making any actual progress. On the contrary, by journaling your workout in detail you’ll be getting many benefits. Especially as you become more advanced and you’re training towards harder moves. If you’re training to achieve the one arm push up (OAPU) and you’re training with incline OAPUs, you’ll have to progressively make the exercise harder by lowering the height of the surface. If you don’t write down your workouts, you may not be able to remember the height of the surface you used in your last workout. As a result, you may train with the “wrong” progression. Imagine now how much longer it will take you to achieve the OAPU if this happens 3-4 times! On the contrary, by simply writing down your workout, the next time you can just take a look at it and see exactly how much you should progress. Apart from the immediate benefits that come from writing down your workouts, there are some benefits that come only after you’ve been tracking your workouts for a while. be able to see all the mistakes you did, the workouts you missed and lots of other details. If a training goal seems to take FOREVER to achieve, you can simply take a look back and see where you started, where you’re now according to that goal and how you’ve been training during that time. This will help you make the right training decisions to achieve that goal. If you don’t have a journal, you’ll be “alone in the dark” second guessing about what you did wrong, you won’t be sure if you’re moving closer to your goal, and you’ll probably be frustrated and not sure about your next move. A great byproduct of tracking your progress for a long period of time is that you’ll be very motivated to train harder when you look back at it. Just a quick glance and you’ll know that your effort isn’t going to waste. Apart from this, you’ll feel a deep sense of accomplishment and satisfaciton about the goals you achieved after all this time of training. First (and most important) of all, you should write down your WHOLE workout. With Pain, you’ll measure any pain you experienced during the exercise you were performing. When you preform an exercise the pain you’re experiencing should be less than 3. If an exercise is more than 3, then you should train with a different variation or take a look at your form. With Form, you’ll be measuring how well you performed the exercise during the workout. When you’re performing a move, your form should be 7 or higher. If your form is below 7, then you’ll have to move to an easier variation of the exercise or train will less reps.
A great benefit that comes from writing down your form, is that you’ll be able to self-reflect and see where you can improve in the next workout (or even the next set). With exhaustion you’ll be measuring your level of tiredness. Unlike the Pain, and Form, your level of exhaustion can vary depending on the program you’re following. For example, if you’re training with Tabata circuits you’ll want your level of exhaustion to be pretty high and as such you could progress to a harder variations once the exhaustion level is below 8. On the contrary if your training with GTG, you’ll want your level of exhaustion to be below 6 at all times. In this section of the journal, you’re gonna write any thoughts you might be having. For example, you can write down something that you’d like to remember during your next workout. You can write on your journal right after each set you’re performing. This will give you the benefit of not losing count of your current set and everything will be fresh in your mind. You’ll also be able to judge your exercise form right way. TIP: You can write down the basic structure of your workout prior to the workout. That way, during the workout you’ll just add the reps/sets without getting thinking too much about it. The next best option is to write down your workout after you finish it. If you’re performing a Tabata based workout, for example, you won’t be able to write it down after each set. The last option is for special circumstances (eg. when you don’t have a journal together with you and can’t write it down somewhere else to remember). Then you’ll have to write it as soon as possible. Keep in mind that you might not be able to remember all the details of the workout if some days have past. Based on the previous section, you should use something that allows you to document your workouts ASAP. This is the old-school way. You just bring together with you a notebook and a pen and write down your workout. Similarly to the previous one, you just bring with you your smart-phone or tablet. You can use a simple text document, a spreadsheet, or even a workout tracking app. The major drawback of this option is that it can distract you from your training. The only disadvantage of the computer is that you can’t take it always with you. However, if you’re training at home, you can still use this option. Just dedicate a file and for each workout create a separate document or spreadsheet. 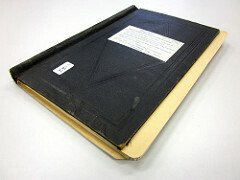 This is similar to notebook with the difference being that it has already a structured journaling template. This is the only option I haven’t tried out, so I can’t comment on it’s pros and cons. 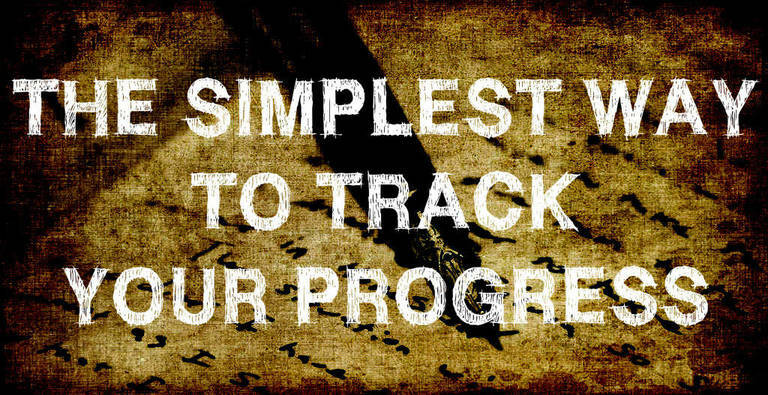 Apart from keeping a workout journal there are other ways to track your progress. If weight loss or muscle gain is one of your goals, then keeping track of your measurements can be essential. This could be done on a weekly or a monthly basis. No matter what your fitness goals are, taking pictures is one of the most helpful things you can do. There are little things that can be as motivating as seing how your body transformed over the years. For your photos make sure you’re unflexed, not-pumped and that there’s natural lighting on the room. If your goal is related to gaining or losing weight, then keeping track of your weight is a MUST. Fortunately, it’s pretty easy to keep track of your weight. All you need is a scale. You can measure your weight daily, weekly, or monthly (depending on your goals). This is important if your goal is to become VERY ripped (less than 10% body-fat). You can use a body-fat caliber for this purpose. You can document your body-fat percentage on a weekly or a monthly basis. If you’re still a beginner or you don’t care about getting below 10% body-fat, you don’t have to keep track of this. No matter what your fitness goals are – be it getting strong, building muscle or losing weight – a workout journal is the simplest (and probably the best) way to keep track of your progress. If your goals require another method of tracking, then use that method in addition to keeping a workout log. Do you have a journal yet? If not, make sure to get one ASAP! How are you documenting your workouts? Exercise form and pain are mentioned in the “Intu-Flow” series. I can’t recall where he mentions the level of exhaustion.